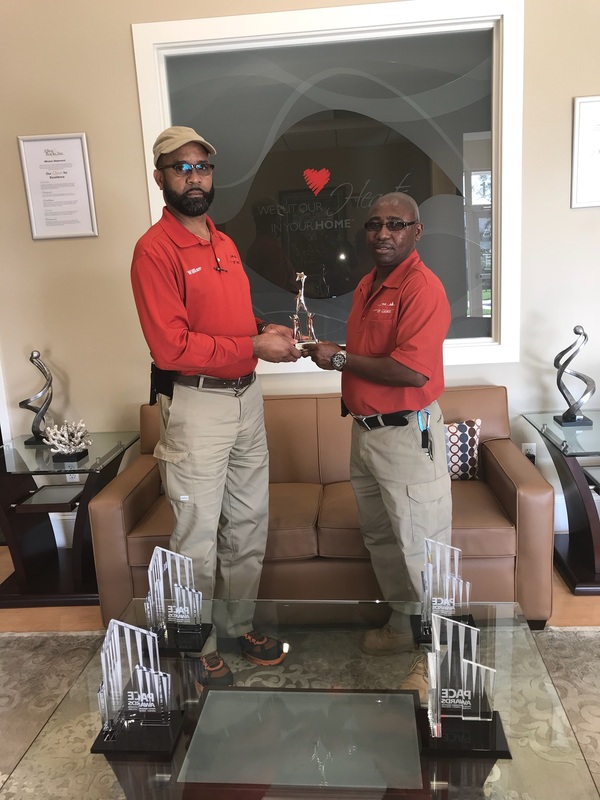 We are proud to announce that the Property Management Association has chosen our own Evergreens at Laurel team, Bill Beale and Osman Kanu, as the Service Team of the Year. They competed against teams all across the Metro area. This is a testament to the entire Allen & Rocks team and the culture we all live and promote. The maintenance teams are our unsung heroes. They are our faithful ambassadors who see and resolve ssues under the worst of circumstances. It has been proven that residents decide to renew their leases based on their satisfaction with maintenance. Since we have a 70% or higher renewal rate, our service teams are tops. Great job Bill and Osman!